For Jim Jones, the joy of his wedding day was multiplied by a much-anticipated phone call from Mayo Clinic. That same day, a lung had become available for a transplant, and the possibility of a healthy life ahead was within Jim's reach. Wedding days are often life-changing. But for Angi and Jim Jones, the day they got married wasn't just the beginning of their life together, it was the day Jim got another shot at a healthy future. As they were on their way to get their marriage license signed, the couple got the call from Mayo Clinic that they had been waiting for — a lung was available for Jim. "We signed the papers, put the wedding rings on, gave each other a kiss, and went to the hospital," Jim says. After being diagnosed with a life-threatening lung disease 1½ years earlier, Jim could not believe his second chance at life through a lung transplant was just hours away — on the same day he'd gotten married. The couple met in 2003 when they carpooled to the construction site of a new health care facility where both worked as steamfitters and welders. Their jobs involve installing and welding together the metal piping systems that run air conditioning systems and deliver water, gas or chemicals within a facility. "We've worked out of the same union doing jobs locally, and we also traveled around the country together to work at nuclear plants, steel mills, powerhouses and oil refineries," Angi says. "As the years passed, we became good friends." In 2015, while working near St. Louis, Jim developed severe bronchitis that turned into pneumonia. After taking a month off, he took a job in Minnesota and then came home in December, where he and Angi began working at a paper mill not far from his farm in Green Cove Springs, Florida. The following April, after battling a sinus infection, Jim developed a cough that wouldn't go away. His primary care doctor referred him to a pulmonologist. Jim underwent several tests and was diagnosed with idiopathic pulmonary fibrosis, an incurable disease in which the lungs become thick and stiff due to scarring. "The doctor told me I had about three years to live and put me on medication to help lengthen my life," Jim says. Shocked by his diagnosis, Jim went to see his primary care doctor again and asked for a referral to another pulmonologist for a second opinion. That pulmonologist recommended Jim start the process of getting on the transplant list at Mayo Clinic's Florida campus. In the summer of 2017, after Angi returned from a job site in Boston, Jim told her about his disease and the possibility of a lung transplant. "His condition was getting worse, and I began doing a lot of work around his farm to help him out," Angi says. "We had been friends for so long and knew each other so well, we ended up falling in love." With Angi by his side, Jim began the transplant evaluation process in September 2017. "I didn't want to lose my best friend. I've had some difficult times in my life, and he was always there for me," Angi says. "When you have someone you value like that, you'll go to the end of the earth for that person." Approved for either a double-lung transplant or single left-lung transplant, Jim was placed on the transplant waiting list on Oct. 22. The day his name was added to the list, Jim proposed to Angi. "It's not how I wanted to do this, but I want to be married before I lay down on the operating table," Jim says. Blown away by his proposal, Angi said yes. Six days later, while driving to be married, the couple got the call from Jorge Mallea, M.D., in Mayo Clinic's Lung Transplant Program, that made a future together possible. "You never know when you are going to get that call," Angi says. "But when we did, I got this feeling of, 'He's going to be saved.'" "Dr. Mallea told us he only had one lung," Jim says. "I had to decide driving up the road if I wanted to move forward to just one lung or wait for two to become available." Jim and Angi asked the doctor if Jim could live with just one lung. "He explained that you can live a fulfilling life with just one lung," Jim says. "And I would spend half the time in surgery and have a faster recovery." Jim decided to move forward with the transplant surgery. Before he was taken to the operating room, one of the nurses brought a cake to mark the couple's marriage. 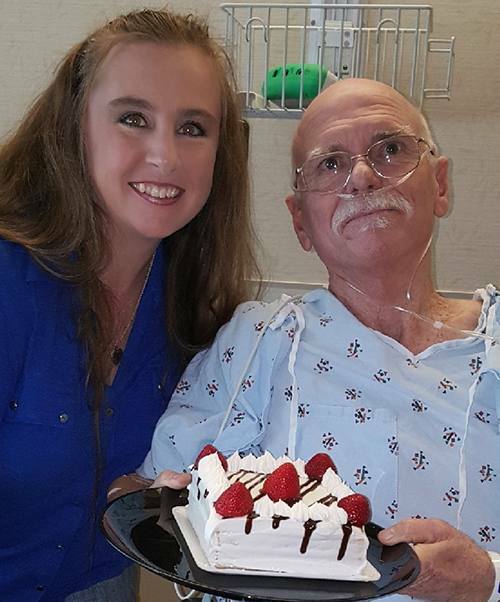 After the small celebration, Jim's lung transplant was performed by Mayo Clinic surgeon Mathew Thomas, M.D., M.B.B.S., and his team. "His right lung was strong enough that it held through the surgery," Dr. Mallea says. "He was removed from the ventilator on the same day." A few days after the transplant, Mayo Clinic pulmonologist Francisco Alvarez, M.D., did a bronchoscopy to see inside Jim's new lung. Angi was fascinated by the images. "It was a beautiful thing to see how perfectly connected everything was," Angi says. It reminded her of her work as a welder. "We fit metal pipes together. Dr. Thomas fits flesh pipes together. It's amazing what surgeons can do." Jim stayed in the hospital for two weeks. After that, he began cardio-pulmonary rehabilitation three times a week for three months. "The entire team at Mayo was excellent," Angi says. "We had so many questions the day of his surgery. We were nervous, and Dr. Mallea took the time to answer all of them and explain everything to us. He's sweet. He's easygoing, and he makes you feel at ease." 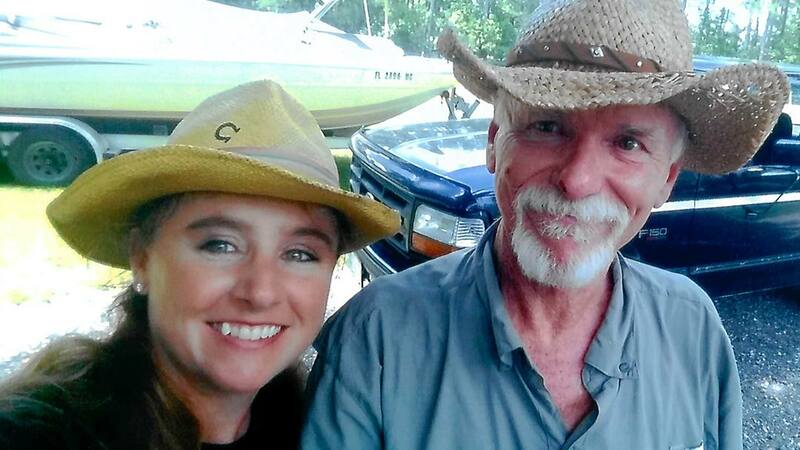 Angi and Jim are planning an October wedding celebration on their farm on the anniversary of his transplant. "I consider myself most fortunate for the good Lord giving me the opportunity for a second chance at life. I'm not going to waste it," Jim says. "We want to do some traveling in Tennessee and Alaska, and we're going to visit friends in Costa Rica." Adds Angi, "I'm just happy I found the man I've always of dreamed of having in my life, and the best part is he's my best friend." Learn more about lung transplants.